There are 10 million reasons to be competing in Atlanta this week, but for those who haven't qualified for the Tour Championship there's the consolation of some much-needed rest. As the PGA Tour play-offs build to their lucrative climax - a $10m (£6.2m) bonus awaits the golfer who finishes top of the standings on Sunday night - there's a danger of golfing burnout. With the Ryder Cup starting on 26 September, the four tournaments in the play-offs were played back to back with the sequence beginning just a week after the completion of the PGA Championship. 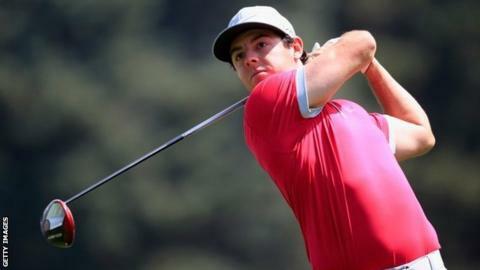 It has been a relentless spell that stretches back to the US Open which began on 12 June. In 13 hectic weeks there have been three majors, a World Golf Championships event and four play-offs to occupy the world's top players. American Ryder Cup captain Tom Watson must feel he did well to argue for a blank week between the Tour Championship and his team's bid to regain the trophy at Gleneagles. Previously there's been a mid play-off break with the Atlanta finale then running into the Ryder Cup. This time there might be fewer signs of exhaustion at Gleneagles. However, before that the 30 survivors for the Tour Championship will need to dig deep for one last push in the PGA Tour season. Of course, there is no lack of financial incentive but that's not the point. This should be one of the key weeks of the calendar, not an occasion when many of the final 30 appear to be sleepwalking to the season's climax. What is the FedEx Cup? The FedEx Cup points system was introduced to the PGA Tour at the start of the 2007 season. Golfers accrue points over the course of the year. At the end of the regular season, the top 125 players on the points list move on to the play-offs. The play-offs are a series of four tournaments ending in the Tour Championship, after which the FedEx Cup points champion is crowned and awarded $10m from a $35m prize pot. Once Phil Mickelson realised that he wouldn't make it to Atlanta, he immediately withdrew from last week's BMW Championship in Denver. No-one likes to see a player pull out of an event when they could and should be playing, but Mickelson simply wants some rest before the Ryder Cup. Keegan Bradley also withdrew - but that was down to his concerns over whether he'd made an erroneous drop at the end of his opening round at Cherry Hills. His integrity ensured he would not make it to the Tour Championship. The other 10 members of the US Ryder Cup team are involved at East Lake, so Watson will be grateful they have that week off before flying to Scotland to take on the European holders. Only four of Paul McGinley's side made it into the final 30. Rory McIlroy (fourth in the standings) knows a win in Atlanta would guarantee him the FedEx Cup to sit alongside his Open and PGA titles. The scenarios are more complicated for Sergio Garcia (13th), US Open champion Martin Kaymer (14th) and Justin Rose (26th), but in theory all 30 starters can mathematically land the jackpot. Garcia would have a more elevated position but for his triple bogey at the 17th in the final round in Denver on Sunday. Having decided to lay up on the par five, he put his approach through the green and then the Spaniard clumsily chipped into the water at the front. Up to that point, he had been charging through the field in pursuit of eventual winner Billy Horschel and veteran commentator Johnny Miller told US viewers Garcia was guilty of a "flat choke". But the player had a more considered view and became another to cite fatigue even though he skipped the second of the play-off tournaments. "If I was mentally sharp, if I was rested the way I was at the beginning and middle of the year, I would have talked myself into going for the green," Garcia said. "But, for some reason, I couldn't. Then, just a mistake after another mistake." In this frantic spell since the US Open, the world number three has been runner-up three times and finished fourth in Denver. Garcia has the potential to be the heartbeat of the European team at Gleneagles, but will he be burned out by the time he arrives in Scotland? At least Henrik Stenson, the $10m man 12 months ago, has a fortnight off before making his Ryder Cup return. He missed the top 30 by 22 places and said: "I'm in desperate need of some rest." Ian Poulter didn't make it beyond the second round of the play-offs and also doesn't want to play again until the Ryder Cup. This is despite his captain's suggestion that he enters the Wales Open next week. Graeme McDowell also missed out on the Tour Championship and considered playing in Wales, but eventually decided to spend the time at his Florida home to practice there and be with his newborn daughter. For half the team though, there's the hope that a trip across the Severn Bridge will prove the ideal warm-up for the trophy defence. Wildcard Lee Westwood has been short of competitive action after failing to progress in the play-offs and joins rookies Jamie Donaldson, Stephen Gallacher and Victor Dubuisson, along with Thomas Bjorn, in the Wales field. The art of balancing competitive sharpness against the effects of burnout is one of the great challenges of professional golf. And if you thought it was a tough trick to pull off this year, just wait until 2016 when the Olympics come into the mix as well.